This building is the final phase of Westridge School’s north campus expansion. 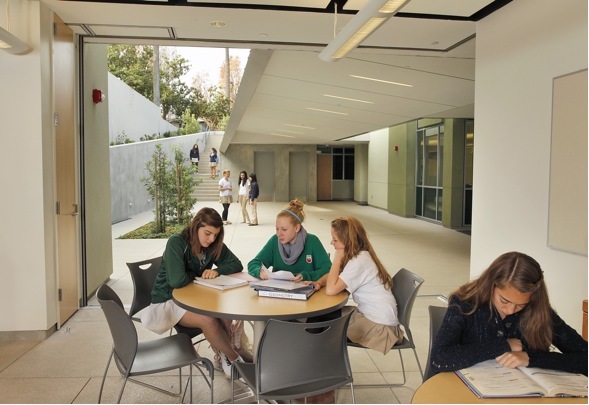 The building was provided with a full basement so that the required Upper School science program could be accomplished in a structure that does not exceed a single story, thus providing a low profile in this residentially sensitive neighborhood. Natural daylight is provided in all classrooms, including those below grade by providing expansive openings on both the north and south sides of the ground floor. Along with many energy saving technologies, the structural sustainable features include three green roofs, 91% FSC certified wood content, 59% recycled steel content, up to 50% fly ash replacement of Portland cement, and 26% regional material use. Westridge School has utilized the sustainable features of this building to enhance the student’s learning experience and is, itself, a tool for environmental education. Through its Environmental Science Program, the school has developed a curriculum in sustainable education, allowing the students to engage in experiential learning. This project obtained a LEED Platinum rating from the U.S. Green Building Council. 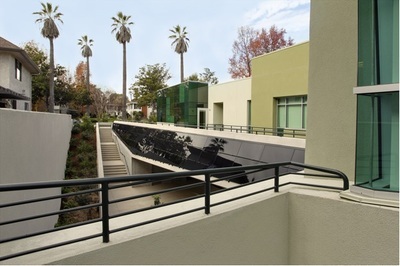 It also received the Sustainable Innovation Award for Education from the Los Angeles Branch of USGBC.